Lonnie McDonald is the Joustmaster! 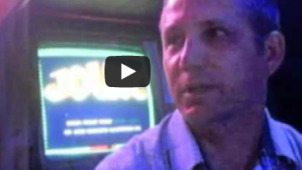 Lonnie McDonald is on a quest to post 9,999,999 scores on every classic Joust video arcade game in America! 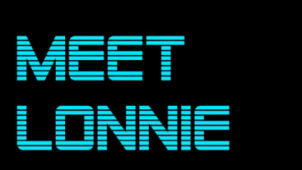 An early eighties world champion on the arcade classic, Lonnie began his quest in the summer of 2011 and continues it to this very day crisscrossing the USA! The first 100 Machines are Complete! 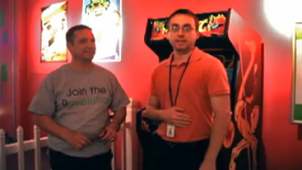 Lonnie reached his goal to roll 100 machines in 100 weeks and post 1 billion points on May 23rd, 2013! The second 100 Machines are Complete! In July of 2018 Lonnie played the personal machine of Joust’s Creator John Newcomer at Classic Game Fest in Austin Texas as Joust 9999999 number 200. Currently Lon has placed 9999999 on more than 208 Joust Machines! If you’d like Lonnie to play your Joust please use the contact form page link. News and articles that will help you keep up with all the exciting events!